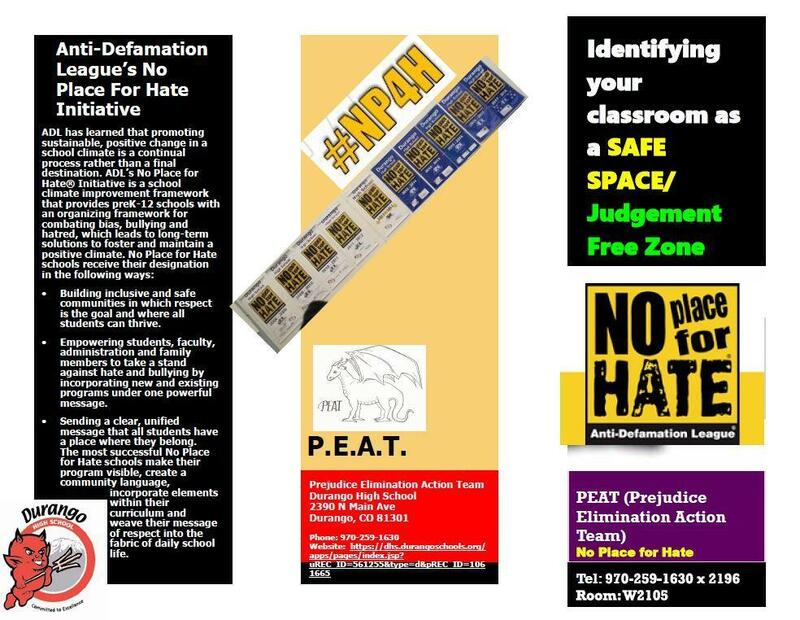 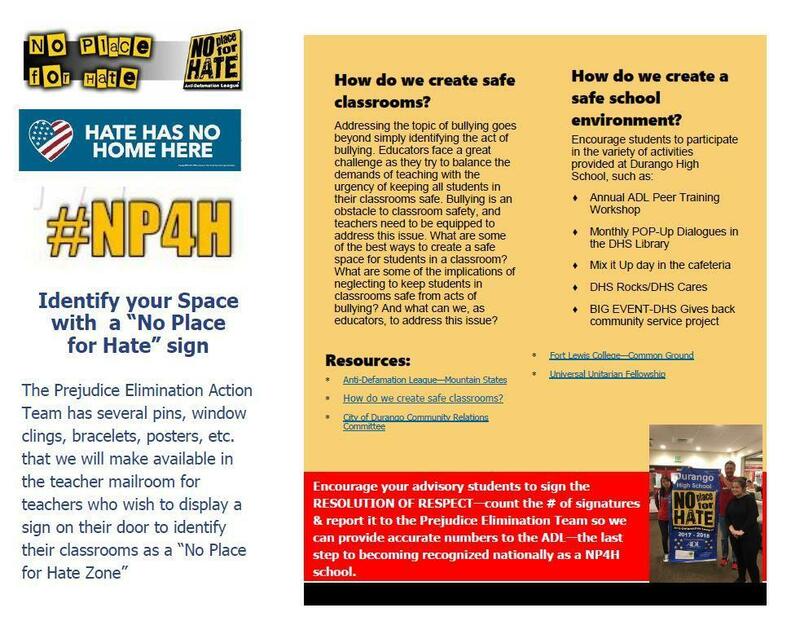 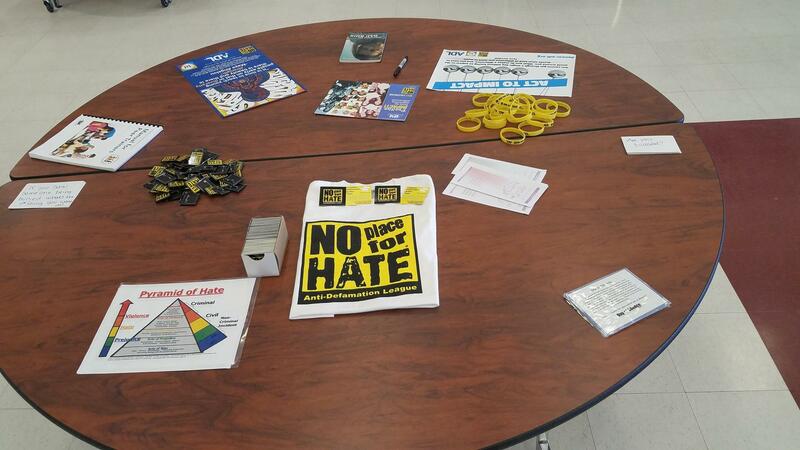 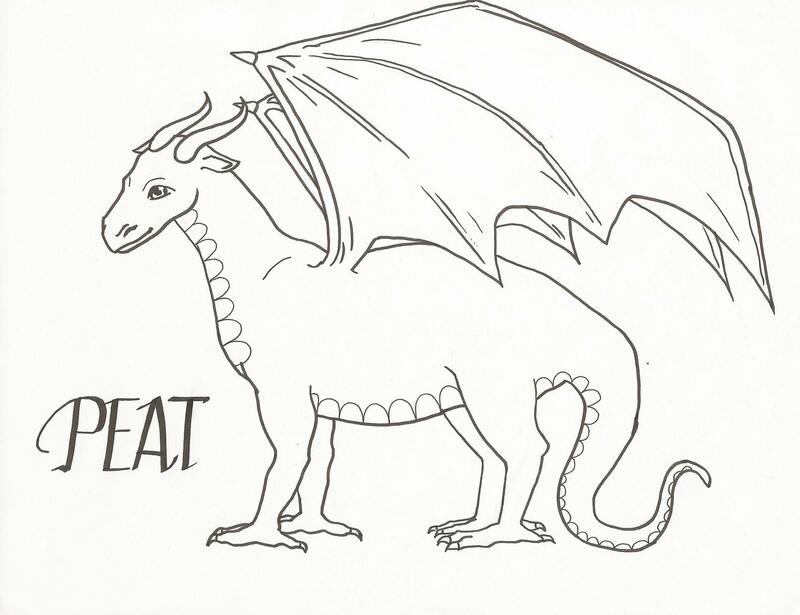 The Prejudice Elimination Action Team or P.E.A.T is an anti-bias, peer education program that uses the A World of Difference curriculum of the Anti-Defamation League. 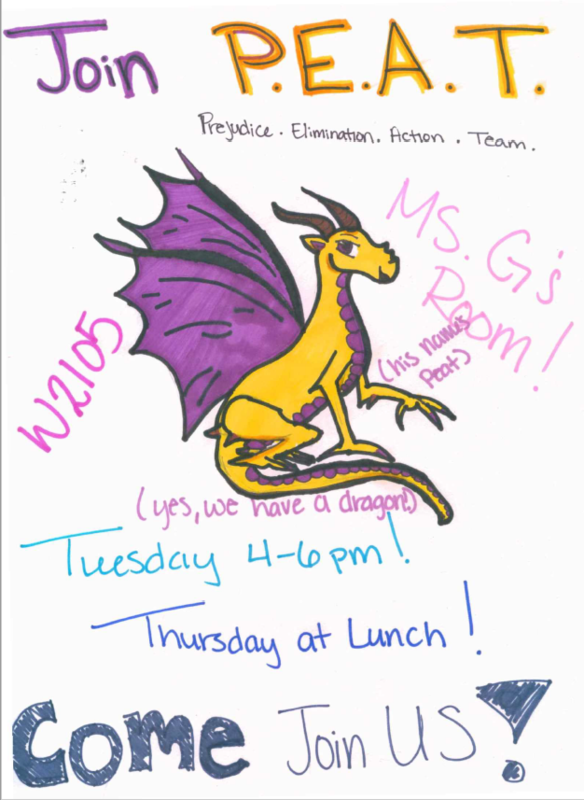 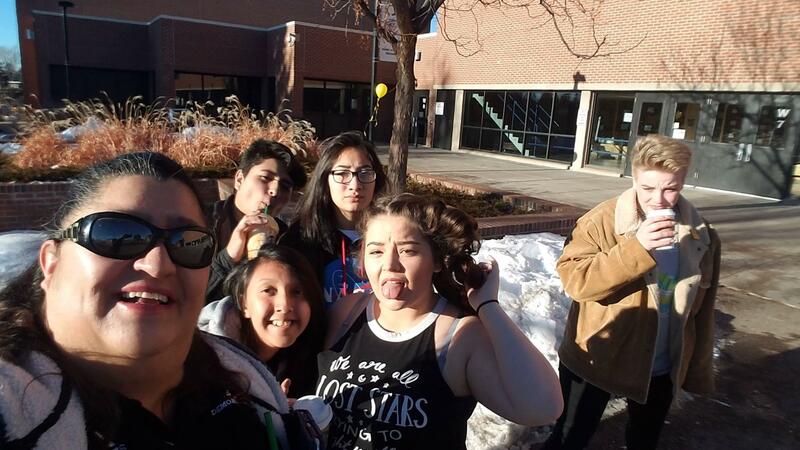 We meet on Tuesdays from 4-6 PM AND Thursdays during lunch in Room W2015. 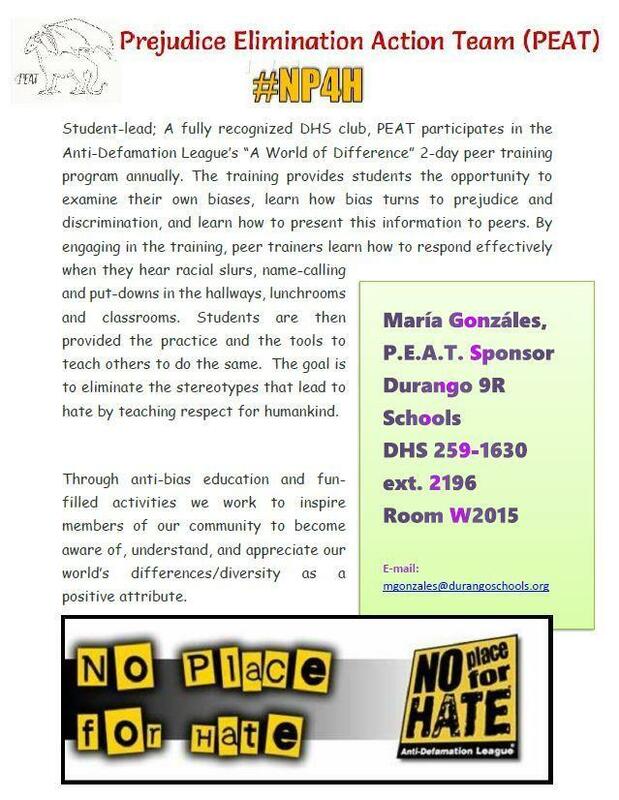 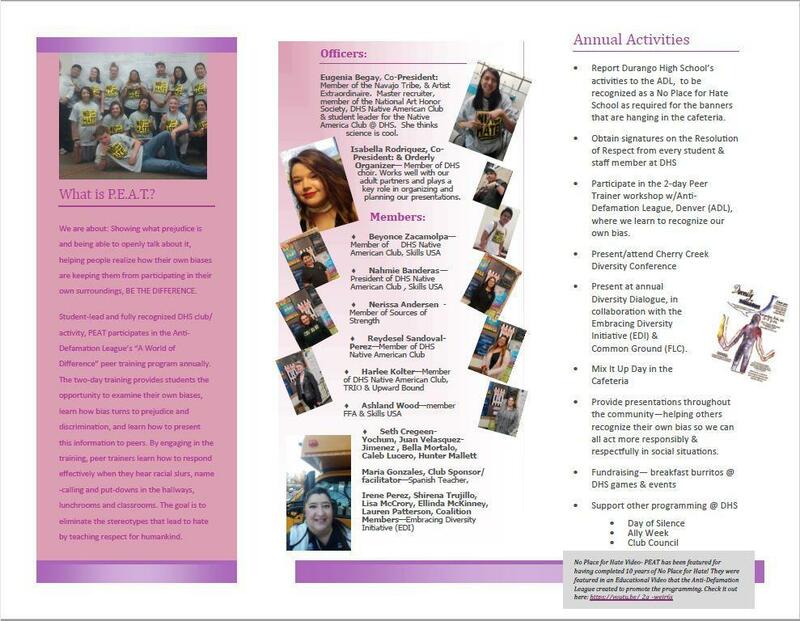 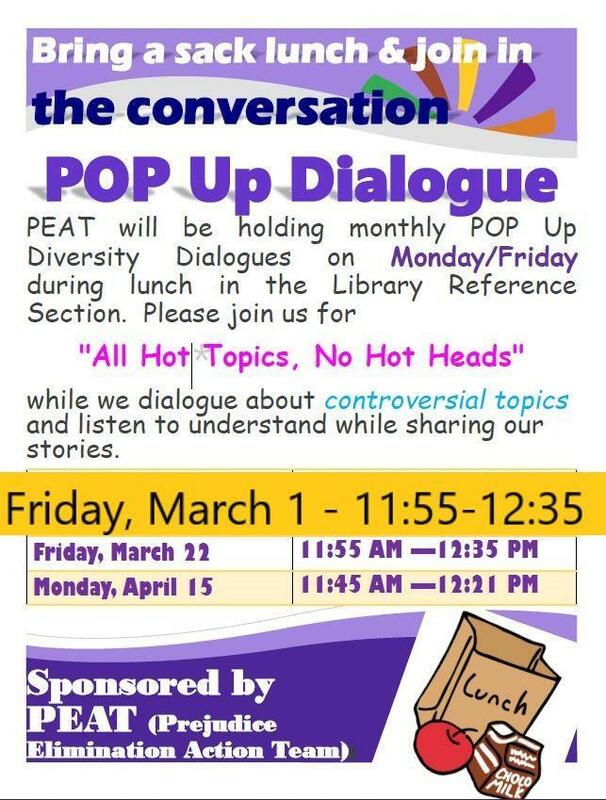 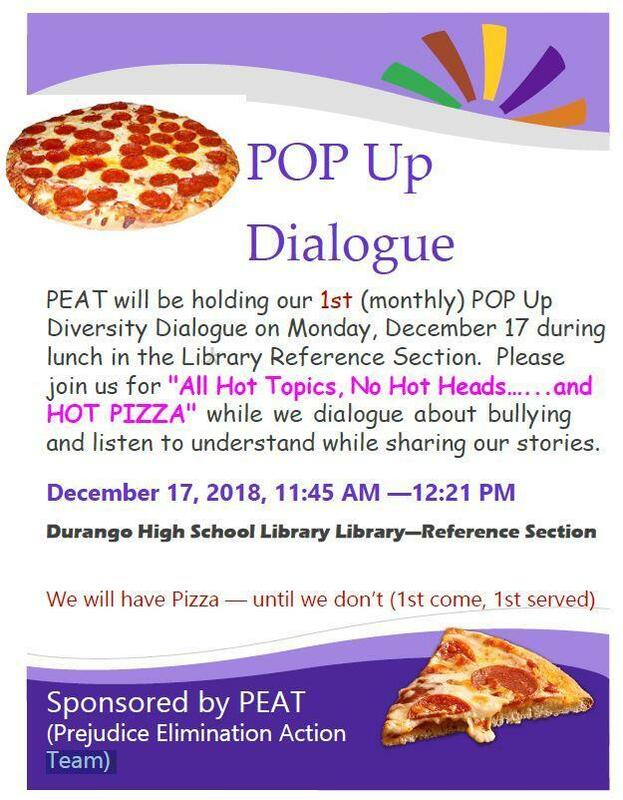 Student-lead and fully recognized DHS club/activity, PEAT participates in the Anti-Defamation League’s “A World of Difference” peer training program annually. 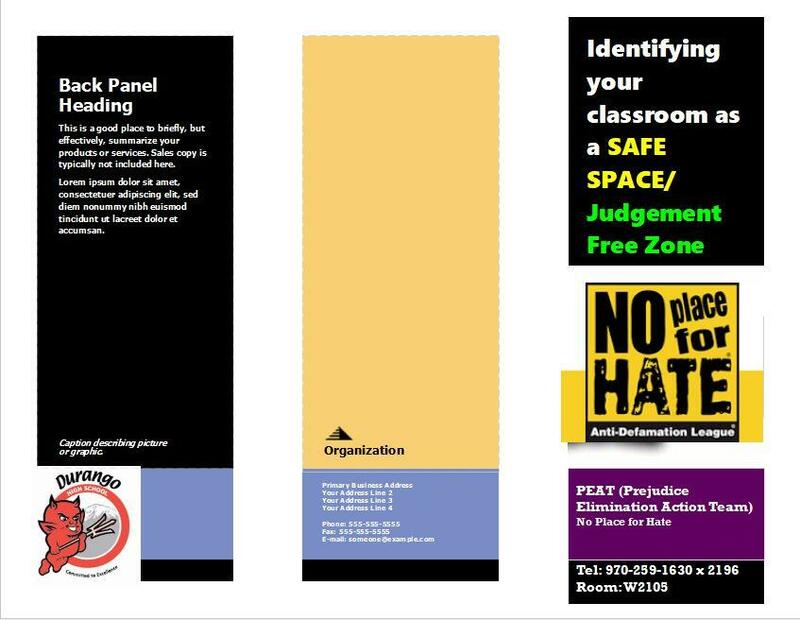 The two-day training provides students the opportunity to examine their own biases, learn how bias turns to prejudice and discrimination, and learn how to present this information to peers. 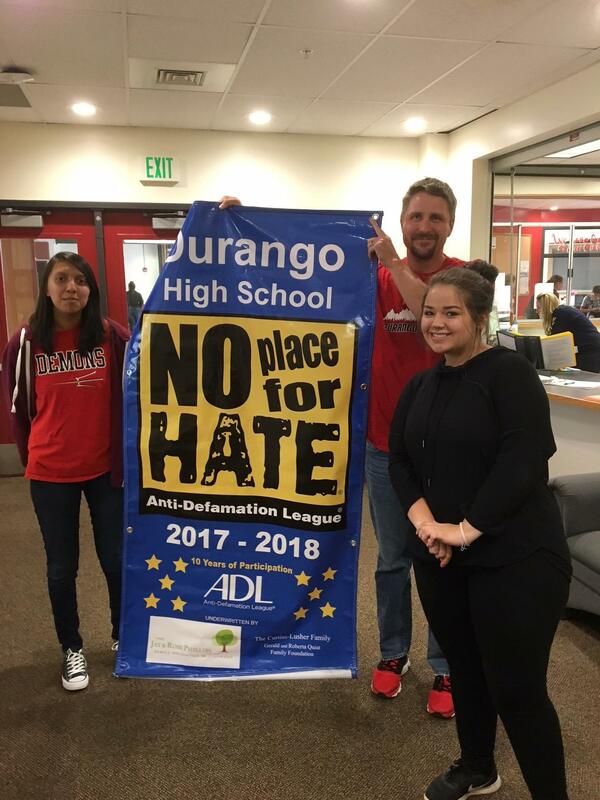 By engaging in the training, peer trainers learn how to respond effectively when they hear racial slurs, name-calling and put-downs in the hallways, lunchrooms and classrooms. 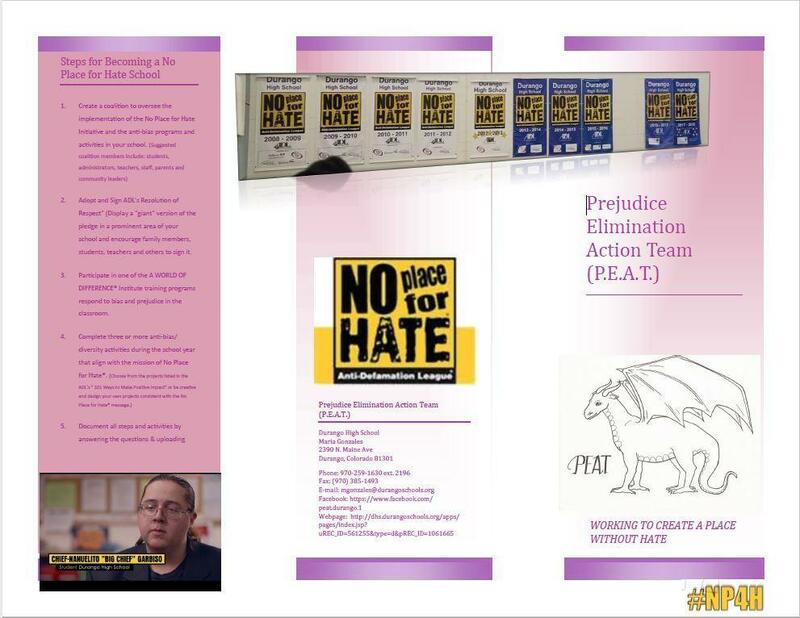 The goal is to eliminate the stereotypes that lead to hate by teaching respect for humankind. 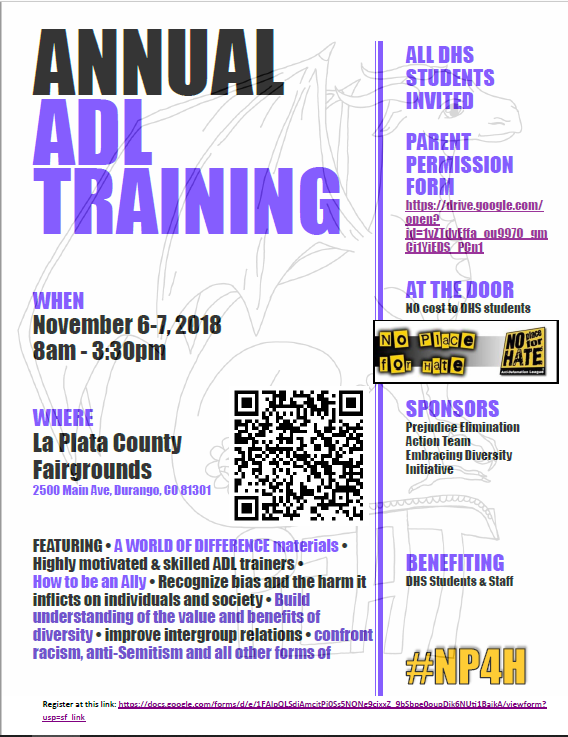 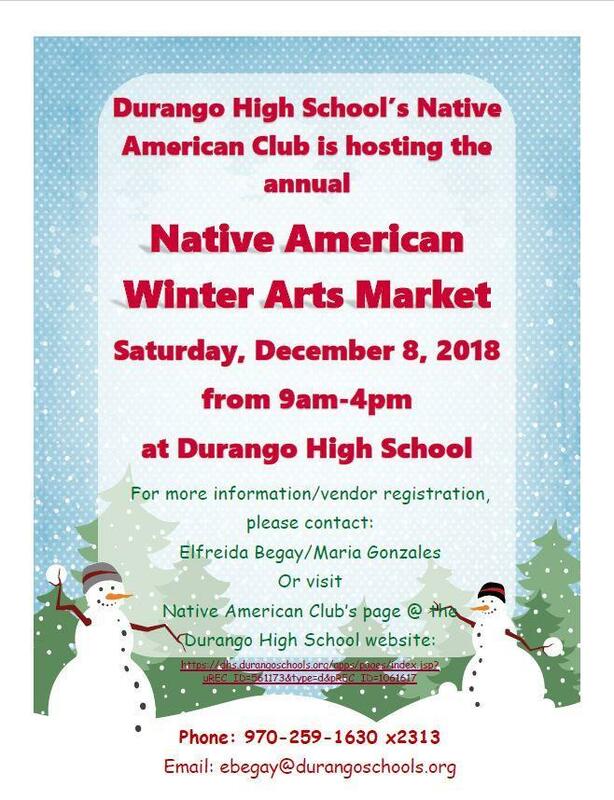 You can download and print the permission form directly from this registration link. 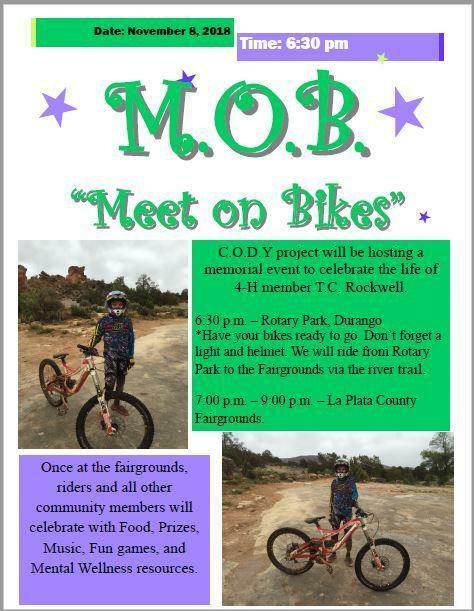 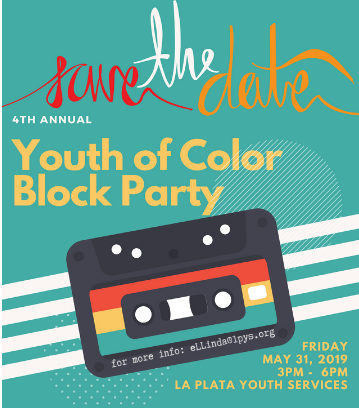 May 31 - 4th Annual Youth of Color Block Party 3 - 6 PM @ La Plata Youth Services.